What does it mean to "queer" the world around us? How does the radical refusal of the mainstream codification of GLBT identity as a new gender norm come into focus in the context of anarchist theory and practice? How do our notions of orientation inform our politics - and vice versa? 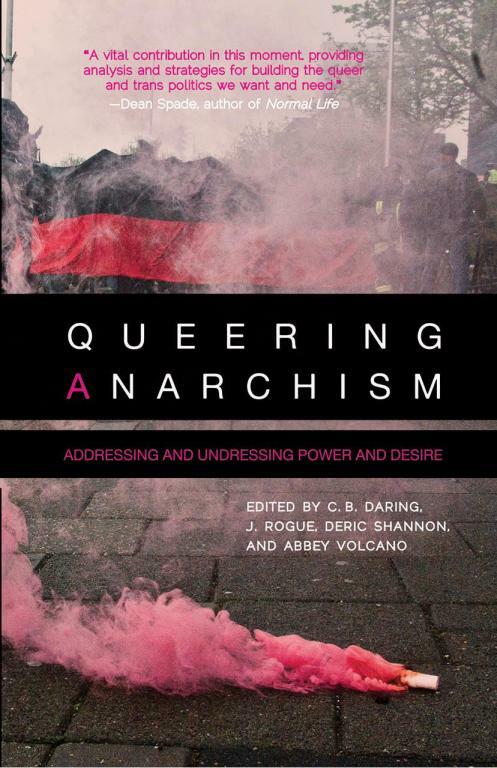 "Queering Anarchism "brings together a diverse set of writings ranging from the deeply theoretical to the playfully personal that explore the possibilities of the concept of "queering," turning the dominant, and largely heteronormative, structures of belief and identity entirely inside-out. Ranging in topic from the economy to disability, politics, social structures, sexual practice, interpersonal relationships, and beyond, the authors here suggest that queering might be more than a set of personal preferences - pointing toward the possibility of an entirely new way of viewing the world. Added more recent PDF version.